Some Texas state senators have tough questions for the man in charge of Dallas County Schools..
At issue: how the district spent millions of your money on a pricey school bus camera program. For nearly three years, NBC5 Investigates has asked many of the same questions about Dallas County Schools – the district that runs school buses for other local school districts including Dallas ISD. 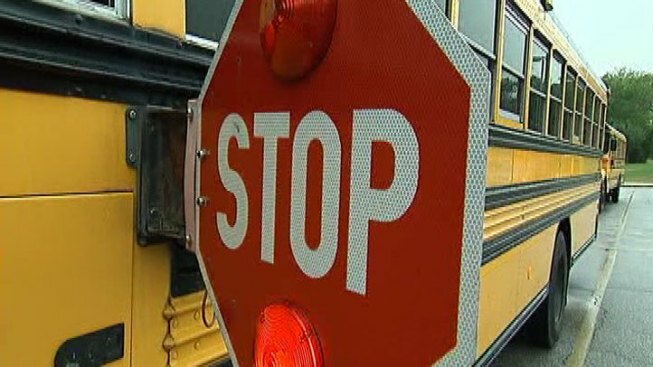 A 2014 NBC5 investigation found Dallas County schools way behind on promises that the bus cameras would pay for themselves with money collected on tickets written to drivers who blow past school bus stop signs. When the program launched in 2012, the district said the cameras would generate millions in fines, quickly paying for themselves. Now, senators on both sides of the aisle have serious concerns about how the district has spent more than $50 million on camera equipment and efforts to expand the program statewide. Some senators question if a school district that was created to bus students has overreached its mission -- using public money to run what amounts to a side business. In a contentious hearing in Austin Wednesday, Dallas County Schools Superintendent Rick Sorrels admitted the district is still years away from paying off the cameras statewide. “We are probably about three years out, yes. That's a short time for me, but three years, yes," Sorrels said. It's not the first time Sorrels has made a three year promise. Two years ago, he told NBC5 Investigates the same thing. “Please come back here in three years and we'll sit here and we'll have this same discussion except we'll be saying 'Rick, you were right. They did pay for it'," said Sorrels in a 2014 interview. At the time, NBC5 Investigates discovered the district had spent tens of millions more than first advertised, even borrowing money to buy camera equipment. Officials also spent at least $25 million trying to expand the camera program statewide. Dallas County Schools offered free cameras to other Texas districts in exchange for splitting the money collected in fines. A 2014 NBC5 review of Dallas County Schools records found total expenses for the statewide program could total $75 million. In the Wednesday hearing, several state senators questioned why a local school district would try to operate a statewide enterprise to generate revenue. “Wait a minute, This is Dallas County Schools. This isn't the State of Texas schools. What are you doing buying something for across the state that isn't part of your mission?,” asked Sen. Kel Seliger, R-Amarillo. Sorrels responded that he believes the district’s mission is to strengthen education service both inside and outside of Dallas County. But Dallas area senators Royce West, D-Dallas, and Don Huffines, R-Highland Park, also questioned the superintendent's thinking. “You ought to just admit you're out there looking to make some money," said Huffines. During his questioning, Huffines cited NBC5’s earlier reports. Two years ago, an NBC5 Investigation found the camera program was way behind projections. Thousands of tickets were thrown out because of errors and drivers successfully challenging tickets. And the district struggled to find other cities willing to pass bus camera laws - needed to join the program. But in Austin, Dallas County Schools again told lawmakers it will eventually make good on its promises. In a statement late Thursday, Dallas County Schools told NBC5 Investigates, "Our student safety program, which is ranked as one of the best in the country, is saving our children's lives throughout Texas”. The statement said, “The stop-arm camera campaign in Dallas reduced the number of violations by 25 percent and has, in fact, paid for itself in three years." The public relations representative who issued the statement acknowledged that the claim that program paid for itself referred only to the Dallas County portion of the program and not the statewide program. In 2012, Dallas County School officials told The Dallas Morning News that the Dallas County portion of the program would pay for itself in just one year.